Swinging through the trees – wind in your hair, seeing the beauty of mother nature – real experience. Normally I take the photos – however I could not resist posting this one taking by my assistant and hubby – he is getting really good with the camera (very proud). 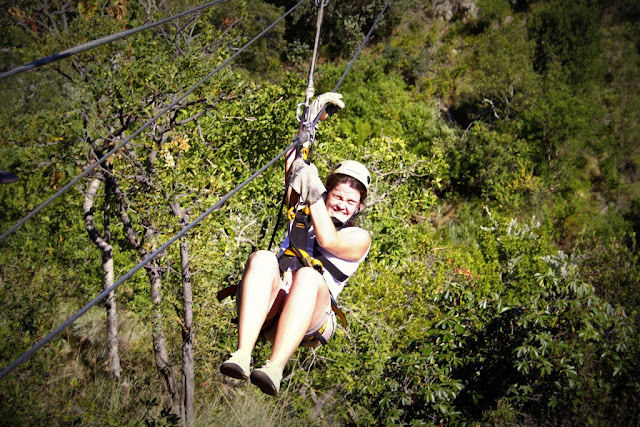 This is me on the zipline – bracing myself for the stop. Makes me chuckle – the faces you pull without realising it.